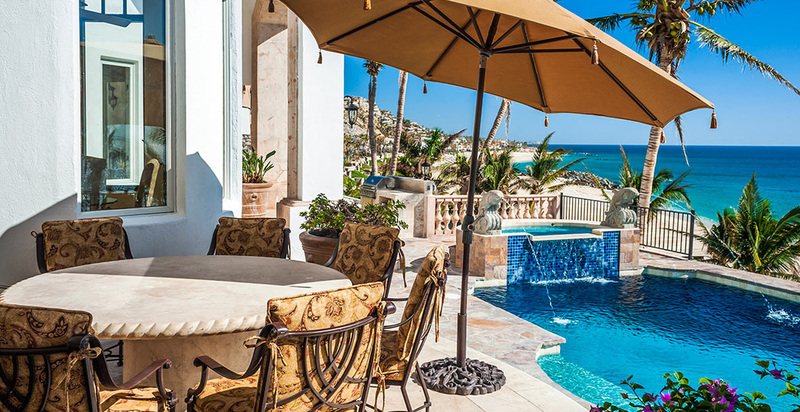 Villa Paraiso (translated Paradise Villa) is one of the most inviting beach properties in the world. 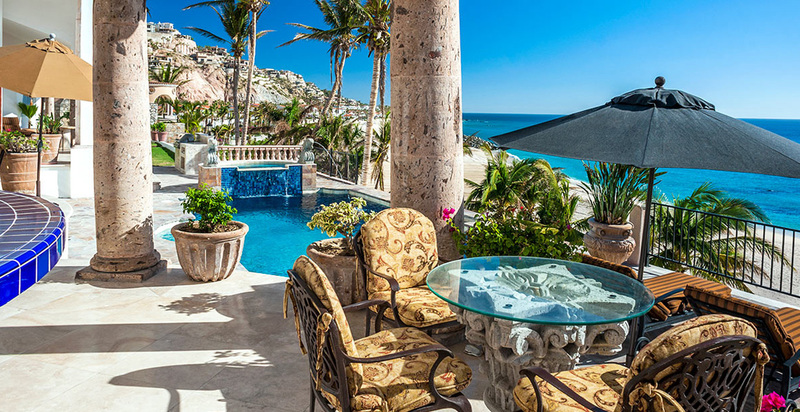 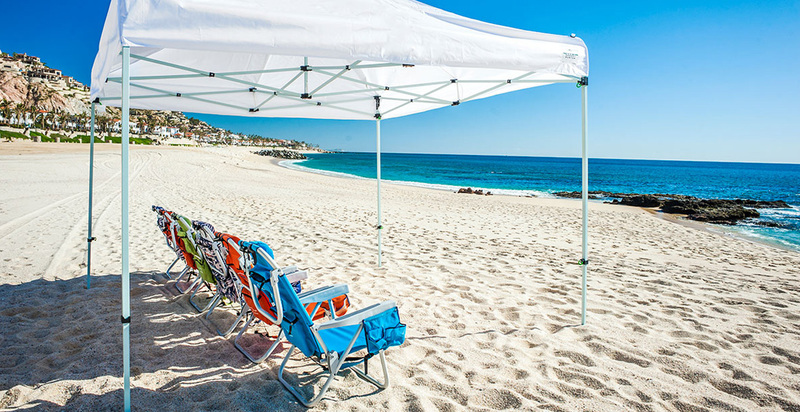 It is a 7000 Sq Ft Mediterranean-style home located on a private beach front along the famed Corrridor of Los Cabos-in the exclusive gated community of Punta Bella. 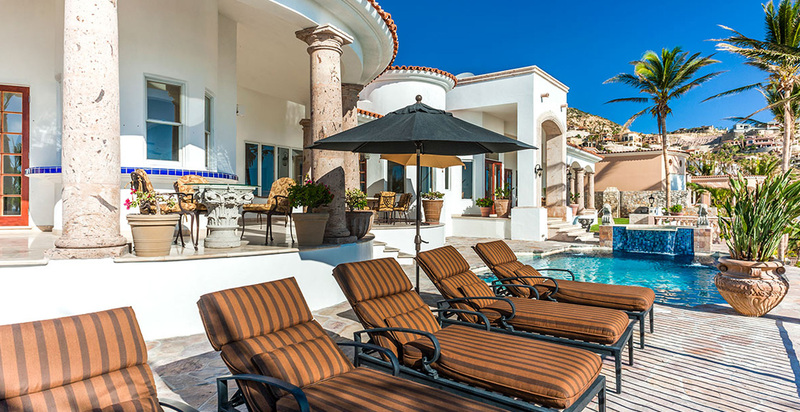 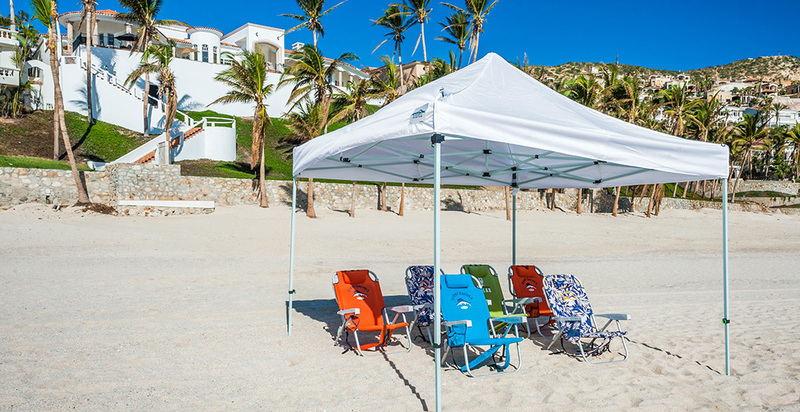 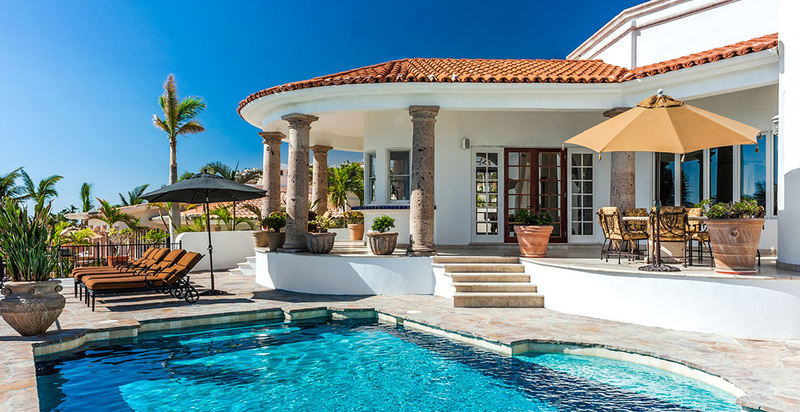 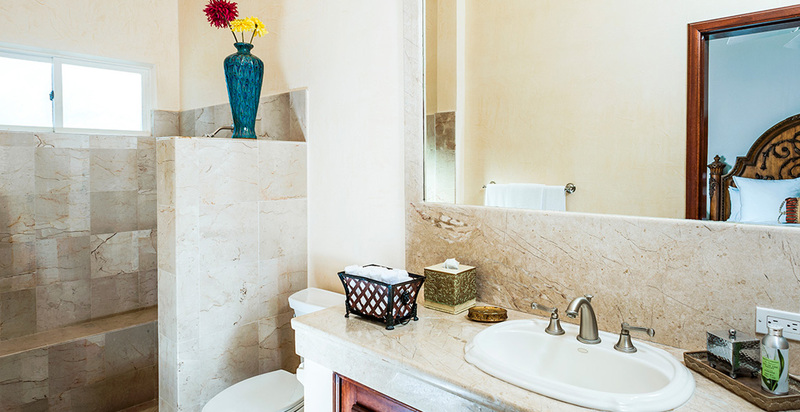 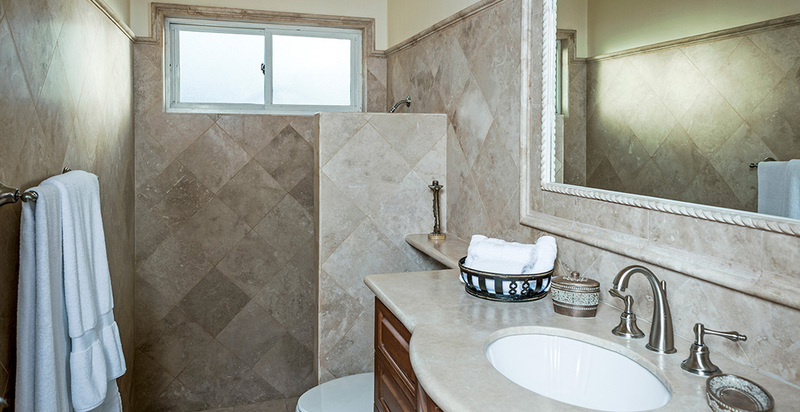 The Villa is steps away from the beach that is shared with The One and Only Palmilla Hotel. 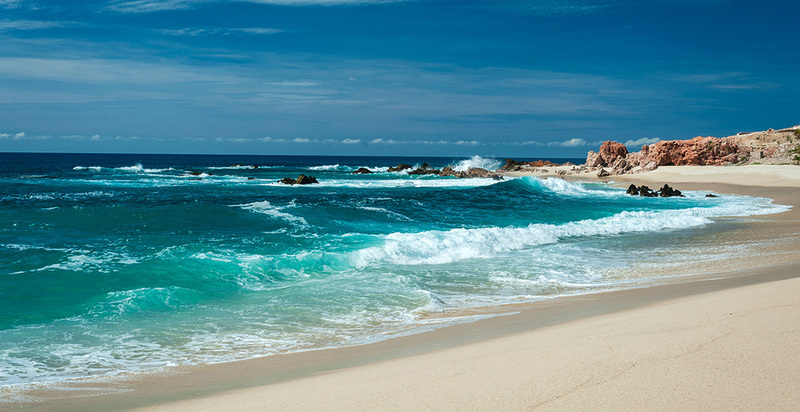 If you like, you can stroll the beach to the hotel for lunch (reservations necessary). 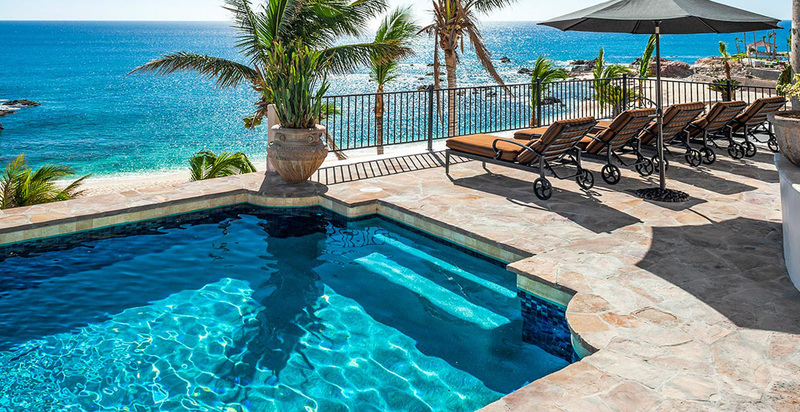 Enjoy spectacular views of the Sea of Cortez, rocky tide pools, and the surrounding dessert mountains from the pool side deck. 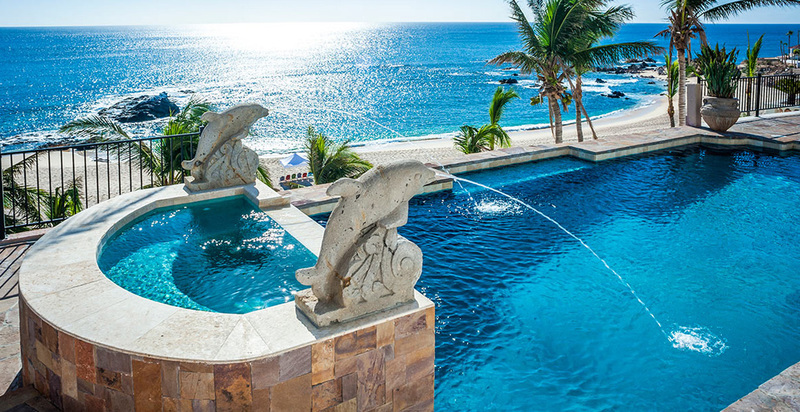 The heated pool, with swim-up seats and twin dolphin fountains, is dramatically terraced over the hill side. 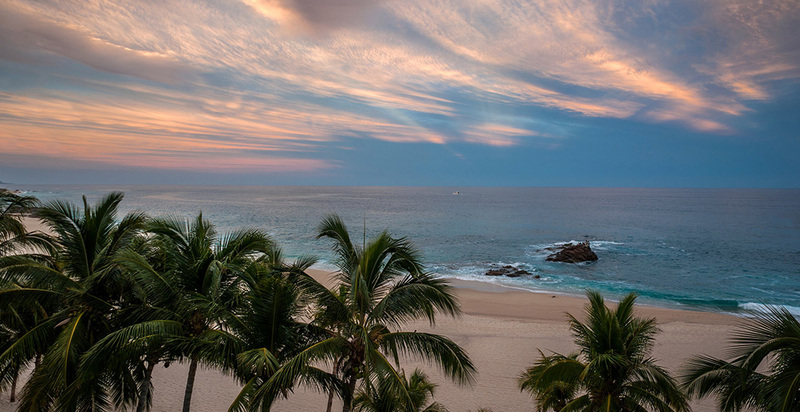 Punta Bella has a private cove that is perfect for snorkeling and swimming. 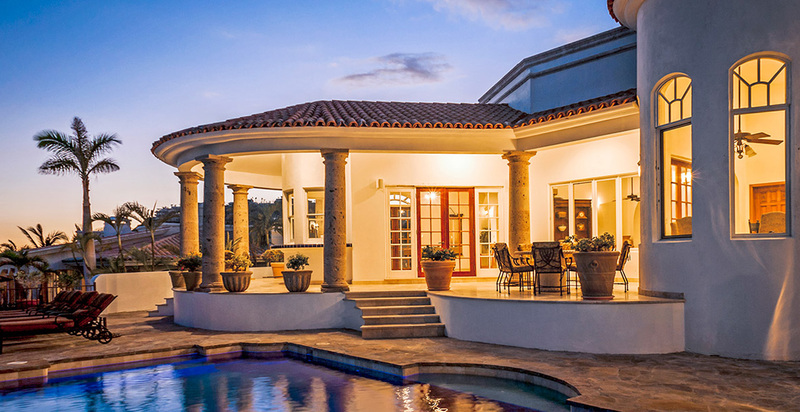 Majestic cantera stone columns outlined the shaded porches of the outdoor cantina. 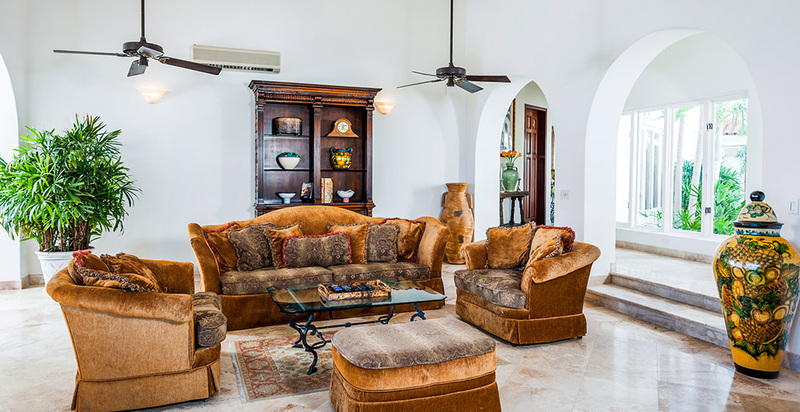 Palms and hibiscus abound, there are high vaulted ceilings, skylights and minimal window treatments which allow wrap around views. 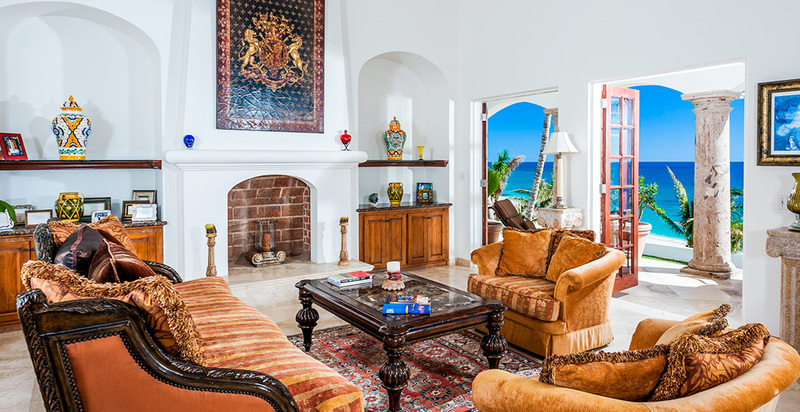 Natural Materials, such as Travertine marble, mahogany doors and Italian renaissance furnishings are found throughout this amazing villa. 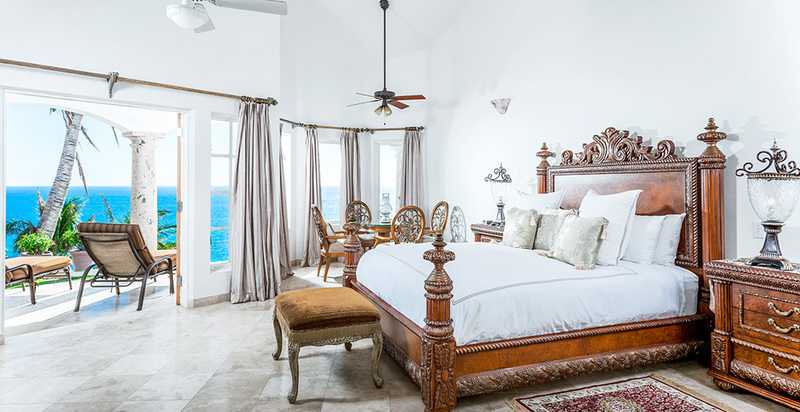 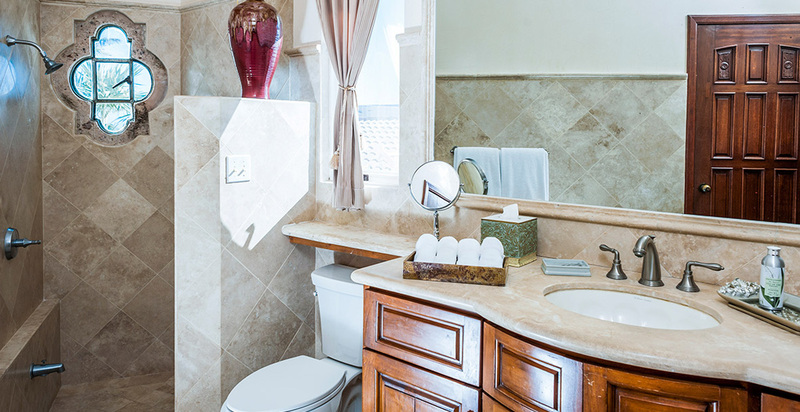 The spacious floor plan features five bedrooms, each with private bathrooms, large Master Suite, and Guest Suite have balconies that open onto the pool and ocean. 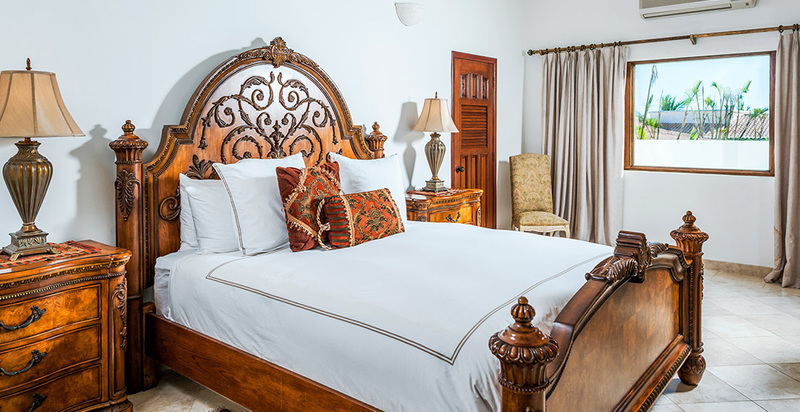 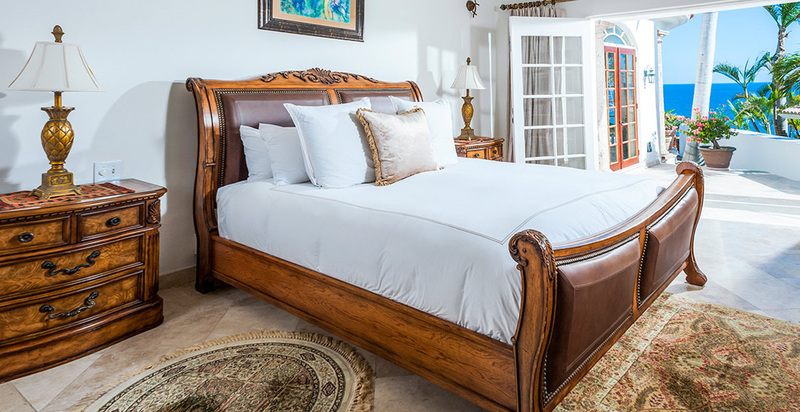 The Master Suite has one king bed; the Guest Suite has one king bed; bedroom three has one king bed; and bedroom four has two queen beds. 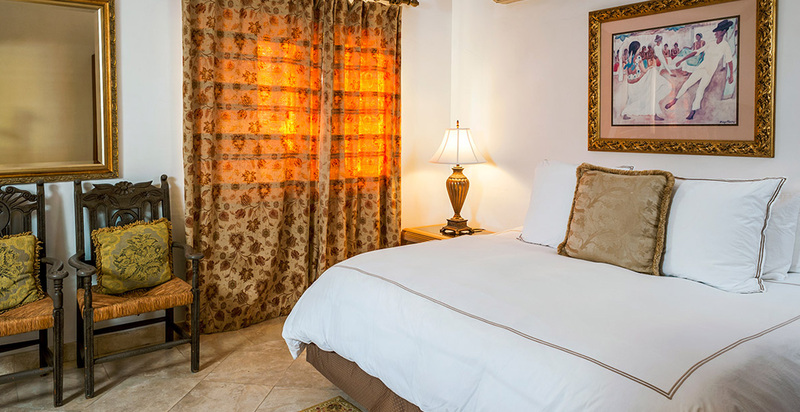 There is also a private courtyard Guest Suite with a king bed. 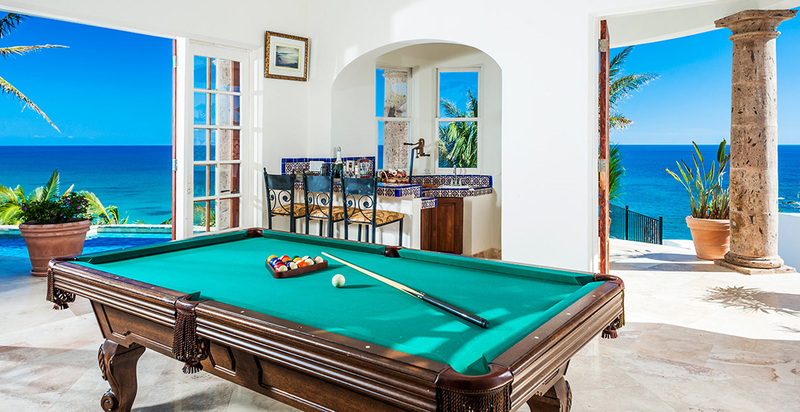 A billiard room and bar are surrounded by French doors that open to the pool area. 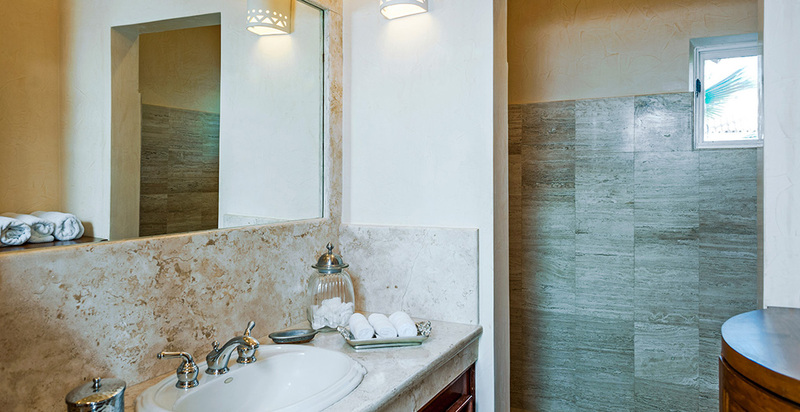 Air conditioning with individual controls is in all rooms. 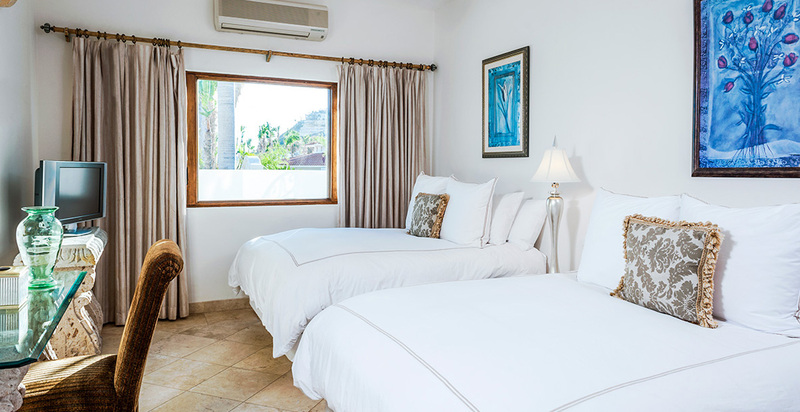 A long corridor offers lush views of tropical vegetation in the wall courtyard. 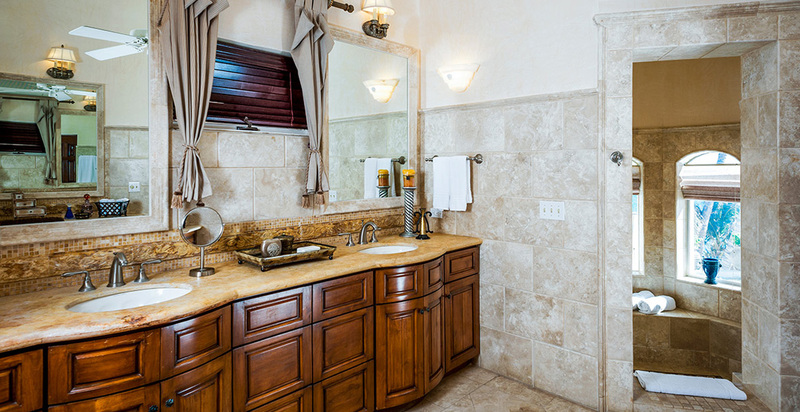 There is a fully furnished gourmet kitchen with granite counter tops and modern appliances, like a commercial-grade Viking stove and Sub-zero refrigeration. 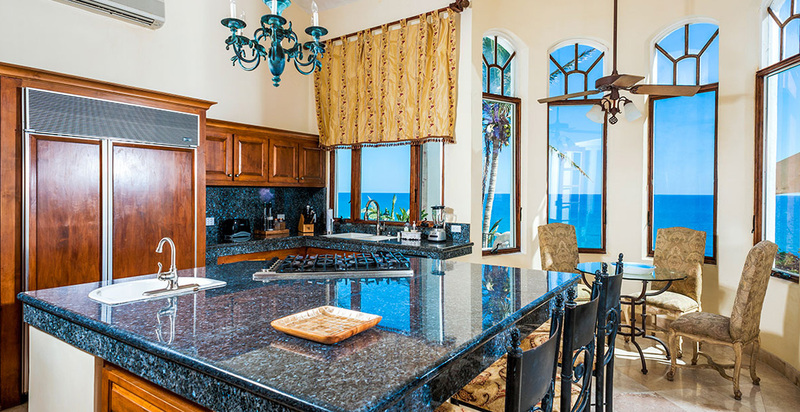 If you prefer, the services of a chef can be arrange to handle your food preparation.